A drive along our tree lined drive will give you a taste of the beautiful scenery the area has to offer. 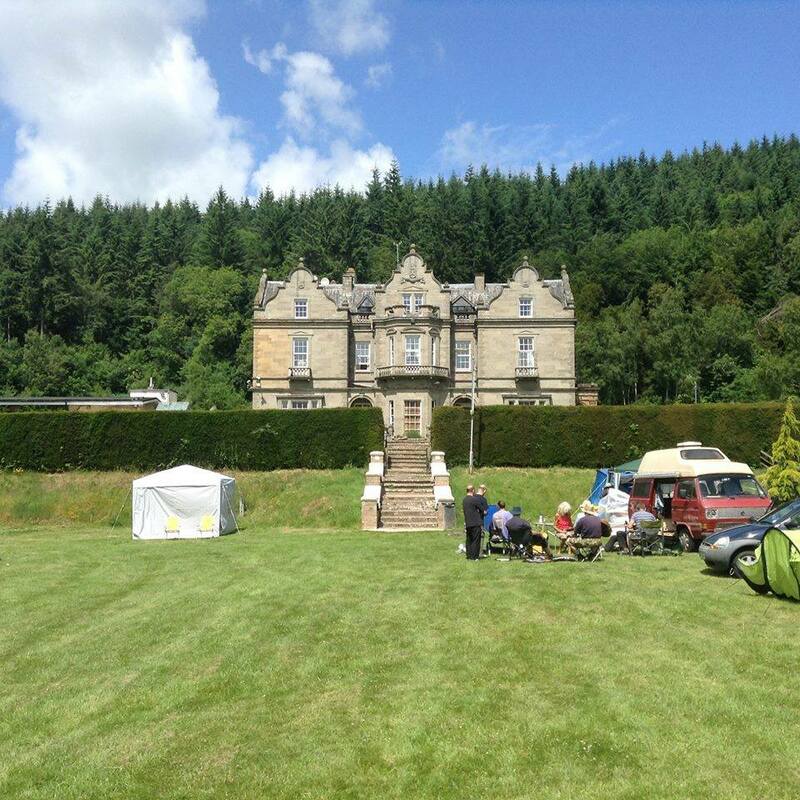 As you arrive at the front of the Hall you will see the beautiful stone façade of this Historic Building. The superb elegant staircase gives you a hint at the opulence of this historic building. 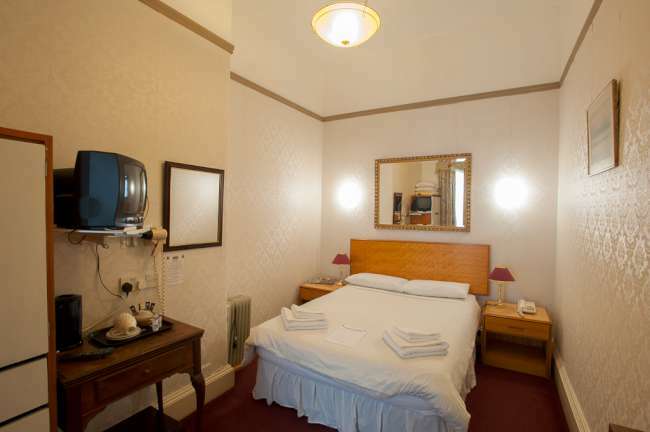 Ranging from standard and family rooms to individually styled Executive Rooms. 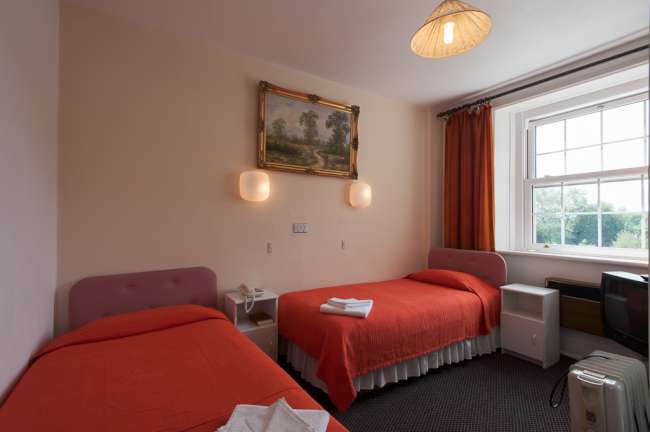 All bedrooms are equipped with tea and coffee-making facilities and colour televisions. 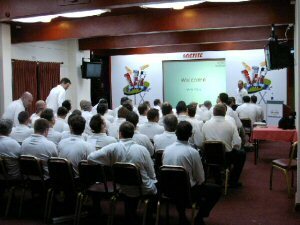 Do you want to host a conference for your company or organisation, then look no further. 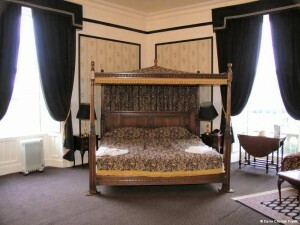 All accommodation includes full English breakfast and is quoted per person per night. 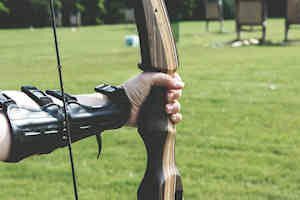 The pinnacle event in the British agricultural calendar, the Royal Welsh Show, will be held on 22nd to 25th July 2019 at the showground in Llanelwedd. 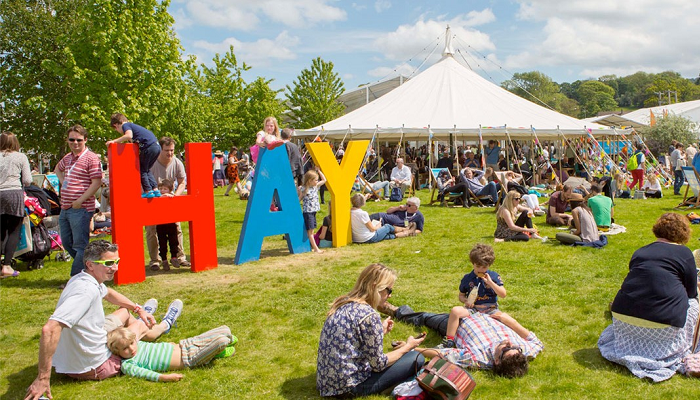 Hay Festival celebrates its 31st festival in Wales, 24 May-3 June 2018. The average age of our group would be about 45 and there was not one complaint, I have already booked another group visit. The countryside is superb with roads and views that will take some beating. Will we go again? Absolutely yes we loved the place. 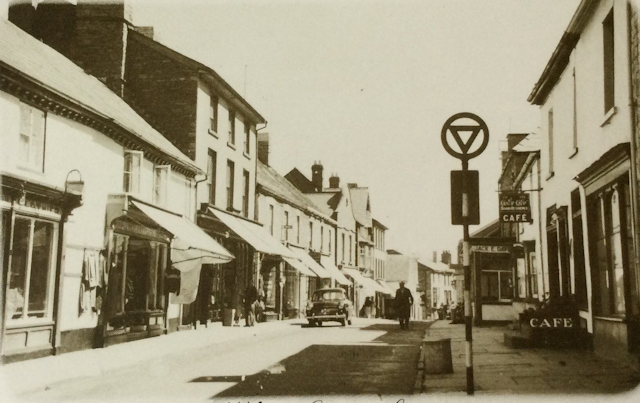 Full of old English charm and character. 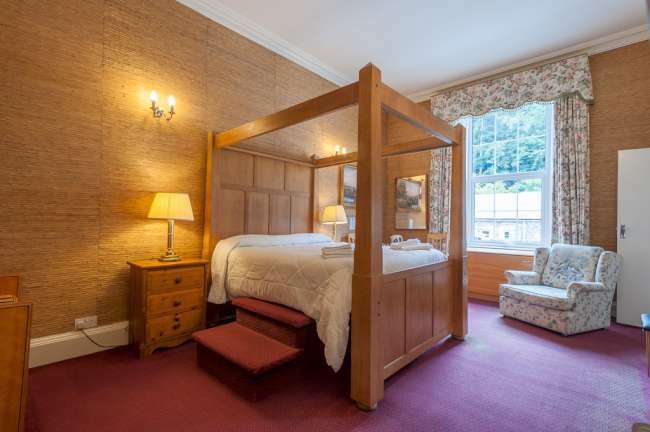 It’s a wonderful old manor house with the kind of family service you can only get in Britain. We loved the place. The room was comfortable, quiet, warm & clean with a great view. Breakfast & dinner were good with generous portions of everything. The staff were well organised, helpful & friendly and gave our party excellent service.